Walgreens now has an exclusive assortment of Avengers 1,000,000 B.C. Minimates from Diamond Select Toys. Up until now, the Walgreens exclusive Minimates have consisted of figures based on the various Marvel animated series’. With the Avengers 1,000,000 B.C. Minimates being their first assortment based on specific story arcs directly from Marvel Comics. The new 2-packs are in stores now. Check out the official details below. Click the headline of the story for some new photos. Avengers 1,000,000 B.C. Minimates Arrive at Walgreens Stores! Walgreens stores have long been the place to find exclusive Marvel Minimates assortments based on Marvel’s various &#187; Continue Reading. 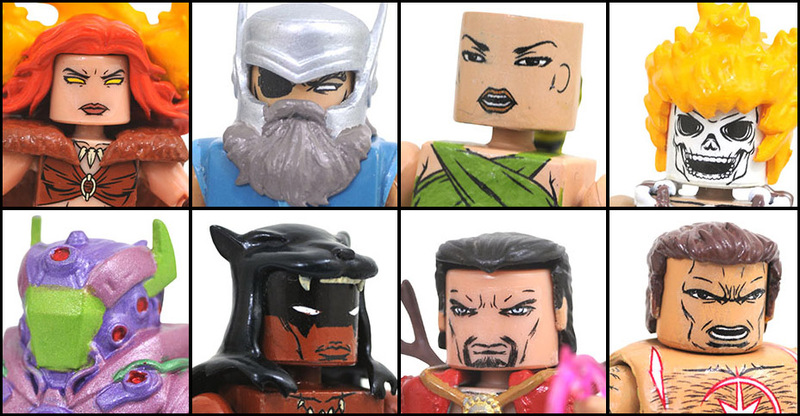 The post DST Digs Up Prehistoric Heroes With Avengers One Million BC Minimates appeared first on The Toyark - News.